Windows 10 was the biggest news story out of Microsoft in 2015, and looking forward to the coming year, it’s slated to continue as one of the pillars of the company’s business. To recap: Microsoft first announced its new operating system in late 2014, skipping over Windows 9 and showing the world what it wanted to see: a version of Windows that kept some of the key innovations of Windows 8, while smoothing out some of the jarring or rough edges of its predecessor that drove people to stick with Windows 7 (or worse, Windows XP). 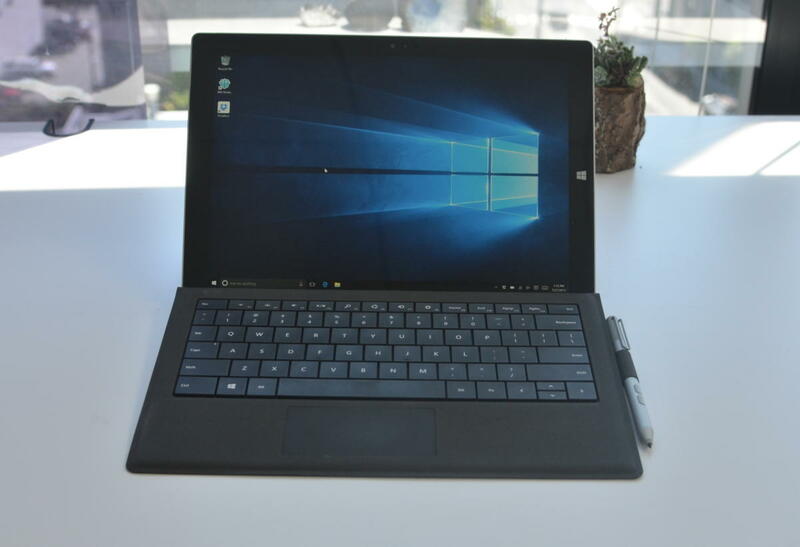 That strategy has been remarkably successful for Microsoft, which reported in November of this year that there are 110 million devices running Windows 10 after its launch at the end of July. Of those devices, 12 million are already running in a business setting, which is a good sign for the business prospects of Microsoft’s new operating system. One of Microsoft’s big changes with its new operating system is that it will be regularly updated with new features and fixes, rather than the company holding back key features for a service pack release. That’s a double-edged sword, since Microsoft is also pushing out cumulative updates in an effort to ensure that all of its users are running (roughly) the same version of Windows 10 -- this means that administrators don’t have control over which update packages they install. That’s where the operating system has been. So what's coming next? Microsoft will keep offering consumers free upgrades to Windows 10 until the end of July in 2016. Expect the company to do more to encourage businesses and consumers alike to pick up the new operating system. Case in point: Microsoft has already revealed that it will start automatically downloading the Windows 10 installer on some Windows computers as a recommended update. As part of that, the installer will run automatically, though users will have to choose to go forward with the upgrade process themselves. The good news in all of this is that Windows 10 is reaching a point of maturity that Microsoft believes it can get away with downloading an installer on users’ devices that automatically runs. It also means that some people may end up upgrading to Microsoft’s new OS before they’re ready. On the enterprise side of things, expect a lot of companies to start rolling out Microsoft’s new OS, especially after their experiences with replacing Windows XP. Gartner analyst Steve Kleynhans expects that half of all enterprises will have at least started their roll-outs of the new operating system by January 2017. That’s a marked difference from the uptake of Windows 7 and Windows 8, and bodes well for the operating system’s long-term prospects. When Windows 10 launched, Microsoft focused an awful lot on what was available right then, without giving too many details about what was coming next. That makes sense — the company wants to make sure that users are focused on cool features that are out now, rather than waiting for something that they want in order to upgrade. But there are a couple things the company has said are coming, and more that we can intuit from past upgrades. If there’s one big thing that Windows 10 users can look forward to in the new year, it’s support for extensions inside Microsoft Edge, the replacement for Internet Explorer that Microsoft shipped with the new OS. Right now, Edge’s feature set is fairly bare bones, and it shipped without extension support, which is a standard feature on all of its competitors. Earlier this year, Microsoft promised support for extensions inside Edge before the end of 2015, but ended up postponing the feature’s launch. There’s a silver lining in all that, though: accidentally released details about Edge’s extension support suggest that it should be easy for developers to convert existing extensions for Google’s Chrome browser to work on Microsoft’s new software. Owners of old Windows Phone devices also have to wait until 2016 until Microsoft publicly releases a version of Windows 10 Mobile for them, too. The company revealed last week that it isn’t quite ready to release a consumer version of its new operating system for smartphones that currently run Windows Phone 8.1. On top of those awaited launches, we can also expect some other surprises. According to Tom Warren at the Verge, an upcoming update to Windows 10 will allow the virtual assistant to leave the Windows 10 taskbar and float around the screen. Given the cadence of Cortana updates thus far, which have included integrations with Uber and Microsoft’s Power BI service, it’s likely that Microsoft’s virtual assistant will remain a focus of its future feature releases. If there’s one thing that Microsoft is banking on with Windows 10, it’s hoping that developers will believe in the new operating system enough to build applications for the Windows Universal App Platform, which lets people make one app that runs across any device running the new OS. It’s part of the company’s strategy to boost the number of applications available for Windows smartphones and tablets, which have been hurting for native applications. Those new apps will be sold to users through the Windows Store, a digital goods marketplace that includes apps, movies and music. What remains to be seen is whether that marketplace will actually be profitable for developers. Right now, Microsoft’s app store sits at a crossroads: it could turn into something akin to the iOS App Store, or the Mac App Store. If it’s the latter, that’s bad news for the company’s smartphone plans in particular. Next year, we’ll get to see how the plans that Microsoft set in motion for Windows 10 this year actually hold up when put into action. Making an aggressive push for upgrades could result in more people making the move to Windows 10, or a sizable backlash, and it won’t be possible to determine the outcome until 2016 is under way.